Create personal wedding webites with our easy-to-use wedding website builder. 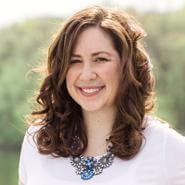 Collect wedding RSVPs online. No technical experience needed. You deserve the best wedding website for your big day, and Planning Pod gives you the tools to build it. Quickly build a fully featured event website, collect online wedding RSVPs and manage all your guests' information. Build table plans and seating arrangements. 24+ wedding planning tools to manage every detail. Our wedding website creator gives you incredible flexibility in setting up a wedding site ... and you don't need any design or coding experience. In fact, within an hour or less you can have a fully functional wedding site up-and-running. It all starts with our single-page website wizard, where you can easily add, customize and drag-and-drop panels into place. Add color to your site with image and gallery panels. Drop in videos that you have posted to YouTube. 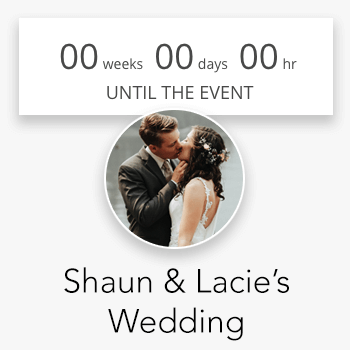 Add maps of your wedding and reception location(s) and your wedding day schedule/timeline to your site as well as a countdown clock. Choose from a variety of fonts and a rainbow of colors that match the theme of your wedding. 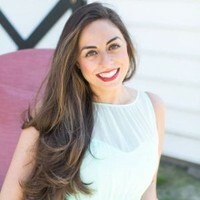 And connect your site to social media sites so your guests can easily post about your event to Facebook, Twitter and LinkedIn as well as view your social media profiles. Simply add the RSVP panel to your wedding site, upload your guest list and you are ready to collect wedding RSVPs online. Our wedding website builder integrates with our guest list tool so you can collect the RSVP status of each guest online as well as meal choices and answers to custom questions (like guest travel/lodging details, preferences, etc.). 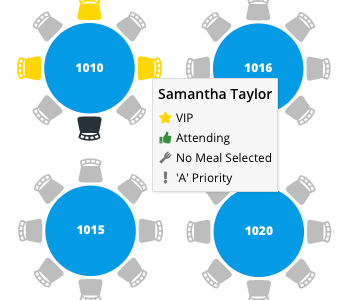 With the guest list tool, you can group guests together into families as well as add Plus Ones to named guests. Then when the named guests RSVP, they can respond for their entire family as well as add names to any Plus Ones assigned to them. 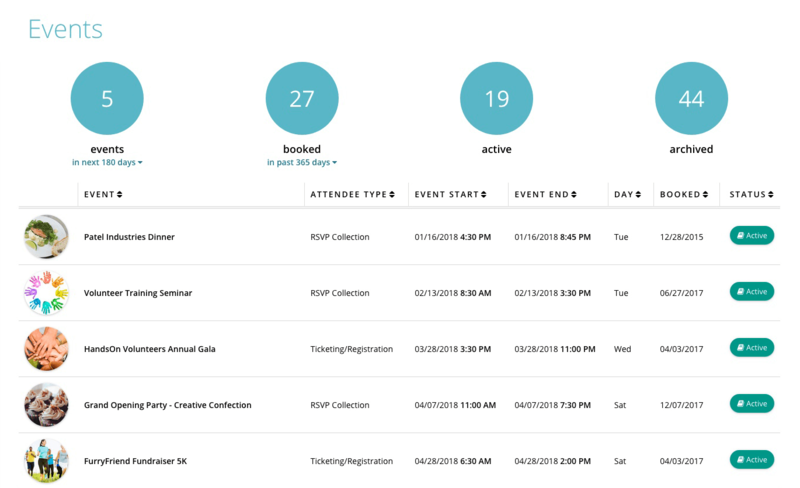 You can even create multiple sub-lists to collect RSVPs for different components of your event (like separate RSVPs for ceremony, reception, next-day brunch, etc.). All guest details are compiled in the guest list tool, where you can view and edit guest information as well as view headcounts and meal counts. You can also download printable PDF or .csv files of your guest list. You can make a wedding website and so much more with with Planning Pod's wedding planning tools at your fingertips. For starters, our event floor plan tool lets you build a detailed, to-scale layout of your event with tables, chairs, stages, buffets and many more elements. 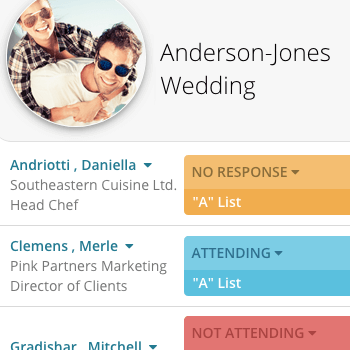 You can also drag-and-drop your guests onto seats to create assigned wedding seating arrangements. And we've made it easy to download a full-color PDF of your layout so you can print it out. Our wedding planning website software includes productivity tools for managing to-do's, schedules/itineraries, budgets, planning calendars and files. Plus collaboration tools for sharing images, ideas, messages and notes. Form/survey tools for collecting input and feedback. And pre-built templates for wedding task lists, wedding budgets and day-of wedding itineraries/schedules. 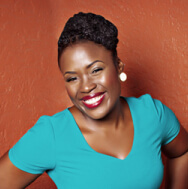 Thousands of professional wedding planners as well as engaged couples have used Planning Pod to create event websites for weddings. Here are just a few of the reasons why they rely on our website builder tools ... and why you can, too. Our meeting and corporate event websites are compatible with any device - including iPhones, iPads, Android and Windows devices. Easily collect RSVP details online as well as meal choices and answers to custom questions for every guest (including Plus Ones). Add or upload your guest list and manage contact details as well as RSVP replies in one convenient place. PDF and .csv downloads. Add large, colorful images to your website as well as galleries for displaying pictures of your wedding party and family. Embed videos you have posted to YouTube or Vimeo so visitors can view your promotional videos on your event site. Add ceremony and reception location details and a Google map of each location will display on the event website. Display a schedule/program timeline of your wedding on your site and also a countdown clock ticking off the seconds until the big day. Choose from a number of Web-friendly fonts and a rainbow of colors so your wedding website design matches your theme. You can build and save templates for event sites so you can modify the same designs for future events. Create a unique URL for each wedding site. Coming soon ... buy a unique domain name for your website. Easily add customized title tags and meta descriptions to your event sites to improve your visibility with search engines. Turn on a privacy filter to require site vistors to enter a password before being able to view your site.